1. The Ampthill Community Interest Company (hereinafter referred to “AFCIC”) is a community interest company responsible for the operation and management of the Ampthill Festival and all events held under the Festival’s aegis including AmpRocks, AmpProms, AmpGala and the AmpLiterary. 2. The Terms “Us”, “We”, “Our”, “the Festival”, “the Ampthill Festival” when used in these terms and conditions, in any website or social media managed by or on behalf of AFCIC, refers to the AFCIC. 3. “Our website” includes any website or social media managed by or on behalf of the AFCIC. 4. “Ticket” refers to a ticket for any of the events organised by AFCIC. 5. Where appropriate, words denoting a singular number only shall include the plural and vice versa and references to the masculine gender shall include the feminine and neuter genders and vice versa. 6. All tickets for events organised by AFCIC are subject to these terms and conditions, to any additional terms on the front or reverse of the ticket, and any additional or event-specific terms notified from time to time on any website managed by or operated on Our behalf. Purchase or acceptance of any ticket for an AFCIC event constitutes acceptance of the terms and conditions referred to. 7. The artist and performer line-up and all billed attractions may be subject to change at any time without notice. 8. All advertised programme times are approximate and subject to change. It is the ticket holder’s responsibility to keep himself informed of any change to artist, performer, billed attraction, or change to scheduled times notified on Our website, Our Facebook page or at the event itself. AFCIC shall not be liable to refund the cost of any tickets or for any consequential loss, including travel costs and loss of enjoyment, caused as a result of a change to an advertised programme or the timing thereof. b. used by any person for promotional purposes, including as a prize or other reward in a competition or lottery, except with the prior written consent of AFCIC. c. AFCIC reserves the right to cancel tickets, without refund of the ticket price or payment of any consequential costs, of Persons found in breach of clause 9(a) or (b). Persons whose tickets have been cancelled will have no right of re-purchase within the same event year. 10. In respect of any ticket obtained in breach of Clause 9 AFCIC reserves the right to refuse entrance to the ticket-holder or remove the ticket-holder from the event, in either case without refund of the ticket price or payment of any consequential costs. 11. Duplicate tickets will not be issued for lost or stolen tickets. 12. A ticket is only valid when purchased from official agents of AFCIC. Ticket-holders holding tickets obtained from other sources will be refused admission. 13. Ticket-holders are required to retain their tickets at all times during the event, and to produce the same on demand by AFCIC, its servants or agents. Failure to produce a valid ticket may result in the ticket-holder being ejected from the event. A ticket may be invalidated if any part of it is removed, altered or defaced. 14. It is the ticket-holder’s responsibility to check the suitability of an event for any members of his party under the age of 16. All children under the age of 16 attending a ticketed AFCIC Festival event must be accompanied by a responsible adult over the age of 18. AmpRocks events are unsuitable for children under the age of 12, and AFCIC reserves the right to refuse admission to such children. 15. AFCIC reserves the right to refuse admission to any ticketholder or event entrant for the purposes of facilitating the security, safety and comfort of others at the event. 16. By seeking entrance to any ticketed AFCIC event or portion of an unticketed AFCIC event held solely within a stewarded Music Arena, ticket-holders and other entrants agree that in the interests of safety and to prevent unlawful activity they, their clothing, bags and other possessions may be searched. 17. All entrants to AFCIC events are prohibited from bringing any item banned in the bylaws of Ampthill Great Park or the Terms and Conditions of any other venue where the event is being held. Without prejudice to the generality of the foregoing, the following items are strictly prohibited at all AFCIC events, namely, firearms, weapons, fireworks, barbecues, Chinese lanterns, noise generators, horns, lasers or any other item which may cause danger or disruption to the event or other event entrants or which artists performing at the Event or their management have requested AFCIC to prohibit. 18. No glass receptacle will be permitted at any AmpRocks event. 19. AFCIC reserves the right to refuse entry or to evict a ticket-holder or event entrant should that person attempt to bring into the event any such item as is referred to in Clause 17 hereof or be found to be engaging in unlawful or anti-social activity. Any ticket-holder or event entrant reasonably considered to be carrying illegal items or carrying out unlawful activity at a Festival event will be handed into the custody of the police. 20. AFCIC reserves the right to request proof of age of any person attending an event and attempting to purchase alcohol. In the case of any person appearing reasonably to be under the age of 18 without proof of age, AFCIC reserves the right to refuse to serve that person alcohol. You are reminded that it is illegal for a person over the age of 18 to purchase alcohol for a person under the age of 18. Persons under the age of 18 attending an AFCIC event are not permitted to bring alcohol thereto. 21. In the event that any person requires medical treatment while at an AFCIC event, AFCIC and/or those providing treatment on its behalf may keep a record of that person’s details, any accident suffered and any treatment provided. 22. AFCIC events within the Ampthill Great Park are subject to the bylaws of the Park which are available at http://www.ampthilltowncouncil.org.uk/council-services/ampthill-bylaws.html. d. to any ticket holder or event entrant for failure to perform any of their obligations in respect of the event to the extent that such failure is caused by force majeure, act of God or any event outside of the reasonable control of AFCIC. 25. No dogs or pets, with the exception of registered Assistance Dogs, shall be allowed onto any AFCIC event arena, enclosure or building. You may be required to produce your laminated Assistance Dog photo ID card at the gate (assistancedogs.org.uk/faqs). 26. The use of tents and camping equipment is prohibited in Ampthill Great Park. 27. Please use the bins and recycling points at and around all event sites. 28. Prolonged exposure to loud noise may cause damage to your hearing. Flashing lights and pyrotechnics may be used during a performance. 29. No trading or other commercial activity by any ticket holder or event entrant is permitted at an event without AFCIC’s prior written consent. 30. The use of photographic or filming equipment during events for commercial gain is prohibited save in cases where AFCIC’s prior written permission has been obtained. 31. AFCIC reserves the right to refuse entry or eject from any event any person in possession of any equipment capable of taking photographs, making films, sound recordings or broadcasts for professional or commercial purposes. 32. The provisions of Clause 31 shall not apply to any equipment designed for personal private use, such as a mobile telephone or a camera, where such use is not for commercial gain. and they further consent to their actual or simulated likeness being included within any such film, photograph, audio or audio-visual recording. Copyright in any such recording as is referred to above shall reside in AFCIC and all persons entering the event hereby agree that such recordings may be exploited by AFCIC in any and all media for any purpose at any time throughout the world, including use in commercial distribution or use for commercial purposes, such as merchandising or DVDs, without payment or compensation. 34. AFCIC is the owner or the licensee of all intellectual property rights in Our website, in the materials published on it and of physical or electronic materials produced or published by Us or on Our behalf, including but not limited to trade marks, designs, plans, maps, signs, logos, text, images, audio and video materials, look and feel of software (including code, interface and website structure) (hereinafter compendiously referred to as the “materials”). 35. The materials are protected by intellectual property laws and treaties around the world. All such rights are reserved. You may not remove any copyright or other proprietary notices from any of Our materials or websites and we reserve the right to copy protect any of the materials. 36. Our status (and that of any identified contributors) as the holders of rights in the materials must always be acknowledged. 37. You must not use any part of the materials for commercial purposes without obtaining a licence to do so from Us and, where applicable, our licensors. 39. AFCIC takes reasonable care to ensure that all information found in its materials, media and website is accurate and up to date, but gives no warranty or guarantee as to the accuracy of such information. It is acknowledged that AFCIC may at any time update its website but is under no obligation to do so. 40. Any conditions, warranties and other terms which might otherwise be implied by statute, common law or equity are hereby expressly excluded, and AFCIC shall not be liable for any direct, indirect or consequential loss or damage incurred howsoever by any person in connection with the use of its materials, media and website. Insofar as the foregoing exclusion of liability clause is prohibited or limited by law, AFCIC’s liability in respect of information on its materials, media and website shall be limited to the extent permitted by law. 41.  “Ampthill Festival” and the Festival’s official logos are registered trademarks owned by AFCIC, are subject to copyright, and may not be used or reproduced without the express written permission of Ampthill Festival CIC. 42. Copyright in the text of AFCIC’s tickets, plans, website, Facebook page and other social media, and other materials both electronic and hard copy (hereinafter referred to compendiously as “AFCIC’s publications”) is owned by AFCIC except where such text is stated to be in the public domain or copyright is stated to reside in another party. 43. Any content of AFCIC’s publications in which AFCIC has copyright may be reproduced by any third party without prior permission on condition that AFCIC’s copyright is acknowledged and, where appropriate, a hypertext link to AFCIC’s own website or, in the case of written material, AFCIC’s address, are included within the body of the website or written material as the case may be. 44. Any content of AFCIC’s publications not in the public domain and in which AFCIC does not have copyright cannot be reproduced without the express consent of the owner of that copyright. AFCIC shall not be liable for the reproduction of any material contained in its publications by a third party by reason of the prior use of that material by AFCIC. 45. AFCIC shall not be not responsible for providing, arranging or securing transport, access, parking or right of way for anyone travelling to or gaining access to any AFCIC event or arena. AFCIC accepts no liability for any parking made by or undertaken by individuals in association with any AFCIC event. 46. Any parking arrangements provided by AFCIC are provided “as is” and AFCIC shall not be liable for any loss or damage associated with use of such parking facilities, including but not limited to theft, vandalism, fire, accidental damage or impact by any material. 47. There are two car parks located within Ampthill Great Park, both approximately 150 metres from the entrances to the event arenas. Both include designated parking bays for blue badge holders. The designated parking bays for blue badge holders are not pre-bookable and are available on a “first come first served basis”. Blue badge holders must display their blue badges at all times whilst parked. 48. Note that Ampthill Great Park is a natural parkland environment with no formal concrete or tarmac roads or paths and with some uneven ground and steep gradients. AFCIC’s events held within the Park may require visitors to access such events by traversing such terrain. The Park includes a few park benches but otherwise there is no public seating provided. 49. Wheelchair accessible portable toilet units will be available at various locations within any sites used by AFCIC for its events and will be clearly marked. 50. In the event that a ticket holder or event entrant has specific access requirements, he is recommended in advance of the event to contact boxoffice@ampthillfestival.co.uk. Due to the nature of the Ampthill Great Park, accessibility to all areas of events held in the Park cannot be guaranteed. 51. No electrical illumination is provided in Ampthill Great Park. Care should be taken when accessing or leaving AFCIC events held in the Park and Upper School during the hours of darkness, and all ticket holders and entrants are advised to bring torches or other suitable illumination. 52. You are advised that flicker, laser, strobe lights, other lighting effects and fireworks will be used during performances in the Music Arena of the Park. 53. These Terms (including any non-contractual obligations) shall be governed by the laws of England and Wales and the parties hereto agree to submit to the exclusive jurisdiction of the English courts to settle any dispute or claim arising out of or in connection with these Terms (including any non-contractual disputes or claims).